The over time averaged radio frequency power is only some 100 watts, thus the required cooling is significantly reduced. 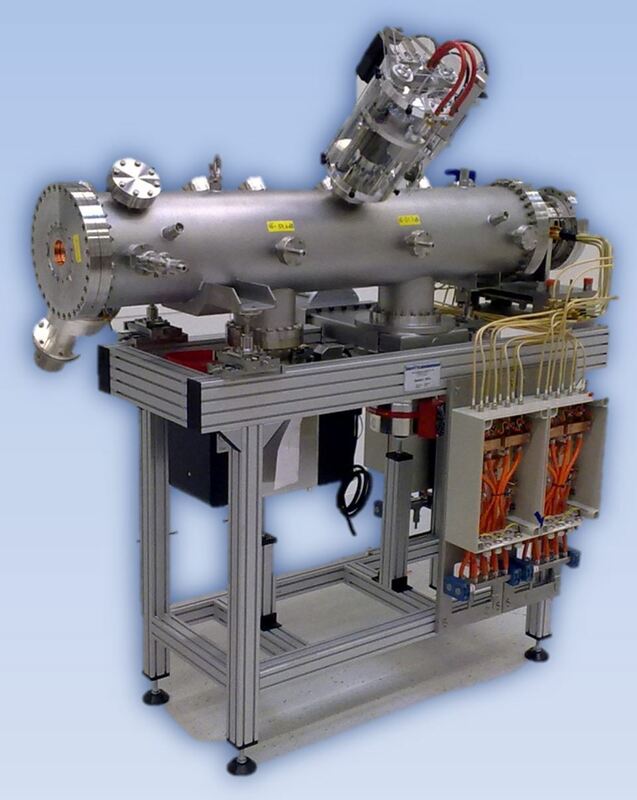 These structures serve as pre acceleration stages for synchrotron injectors for instance. The most prominent example in this category is our medical RFQ for tumour therapy. This structure is part of several clinical treatment facilities (Heidelberg, Marburg, Kiel, Pavia, Shanghai) and has been built 6 times in an almost identical manner. 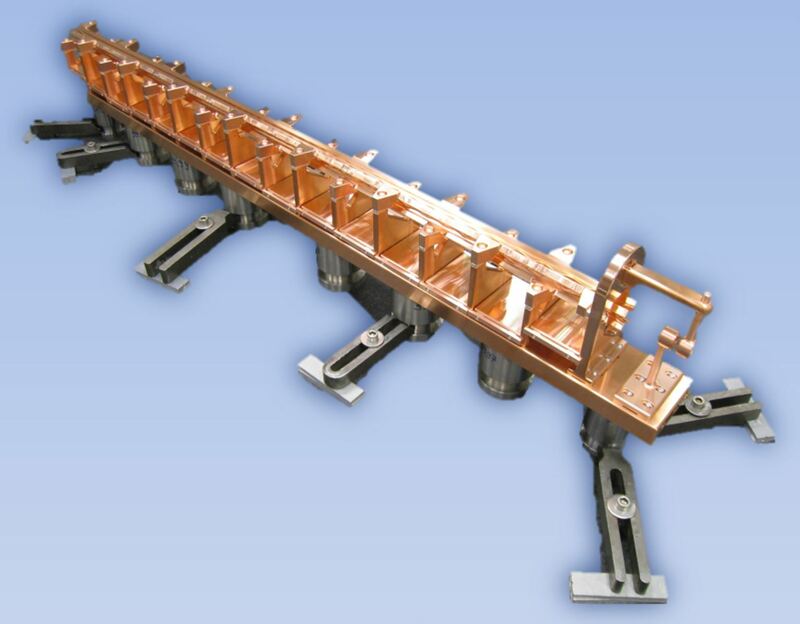 Such the Medical RFQ is our first particle accelerator that went into serial production which gave us the opportunity to investigate on the impact of new manufacturing technologies, such as full 3d contour forming of the electrode surface, on beam performance. Those design and machining techniques count nowadays to our standard repertoire.